Provide comfort for the family of Linda Bynum with a meaningful gesture of sympathy. 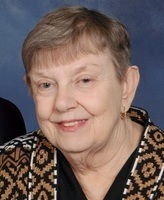 Linda Gail Bynum, age 70, passed away early Monday morning on December 3, 2018 at home in The Villages, Florida. Linda was a member of Village of Faith Baptist Church. She is survived by her husband Joseph Bynum of The Villages, FL; Son: Joseph Bynum II; Aunt: Rebecca Blakely of Moody’s Chapel, AL and several beloved cousins and friends. Linda was born in Altoona, Alabama to William and Bertie Gash. Linda graduated from Altoona High School in 1968. Linda had lived in Brentwood, TN for 35 years. While in Brentwood, TN Linda worked as a pre-school teacher for 15 years. She moved to The Villages in 2013. Viewing will be held on Thursday, December 6, 2018 at 10:00 am at The Village of Faith Baptist Church, The Villages, FL. Service to follow at 11:00 am. Burial will be at Crestwood Memorial Cemetery in Gadsden, AL. In lieu of flowers, please consider a donation in her memory to The Village of Faith Baptist Church Mission Fund. If flowers are being purchased, please send them to The Village Chapel Funeral Home, 101 Vandell Blvd., Gadsden, AL 35904. Arrangements entrusted to Beyers Funeral Home, Lady Lake, FL. To send flowers in memory of Linda Gail Bynum, please visit our Heartfelt Sympathies Store.